Hear all of the action in your area without the complicated programming of frequencies. 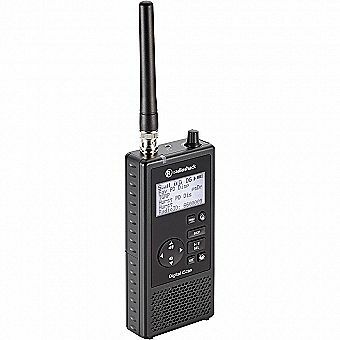 The Pro-668 includes a microSD™ card preprogrammed with the full U.S.A. and Canada database of all known analog public-service trunked systems as well as many conventional frequencies. Just select where you are and what you want to scan from pre-installed lists. It's as easy to use as an MP3 player. Hit play (not SCAN) and you are scanning the local action. Plus, Signal Stalker™ II enables you to lock on to nearby transmissions without programming or even knowing the frequencies and permits lockout of undesired frequencies. Enjoy unsurpassed decoding of P25-Phase II (full TDMA) signals, providing the best audio quality available in a digital scanner. All firmware updates to this model are available to customers at no cost.